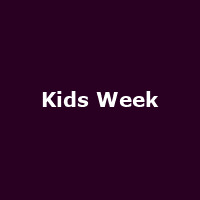 Special Offer: Kids Week returns for 2014, offering free tickets to each child with each adult ticket purchase, covering shows from 1st to 31st August. Back once again for summer 2014 is Kids Week, saving parents' money on West End shows once again over the kids' summer holidays. If you don't already know, Kids Week allows kids (16-and-under) to go free for each adult ticket purchase, with the option of purchasing two extra tickets at half price. Included in the 2014 scheme are new children's shows, Ross Colins' The Elephantom, Emma Reeves' Hetty Feather and Michael Morpurgo's I Believe In Unicorns. Also included are child-friendly shows: Aliens Love Underpants, Charlie and the Chocolate Factory - the Musical, Disney Presents the Lion King, Horrible Histories - Barmy Britain Part II, Les Misérables, Let It Be, Mamma Mia!, Matilda the Musical, Stomp, The 39 Steps, The Pajama Game, The Phantom of the Opera, The Tiger Who Came To Tea, Thriller Live, Top Hat, What the Ladybird Heard and Wicked. For the older children (15+ - parental guideance) are: A Small Family Business, Avenue Q, Billy Elliot the Musical, Ghost Stories, Jeeves and Wooster in Perfect Nonsense, Jersey Boys, Let The Right One In, Once, Shakespeare In Love, The Bodyguard, The Commitments, The Curious Incident of the Dog in the Night-Time, The Gershwins' Porgy and Bess, The Importance of Being Earnest, The Mousetrap, The Woman in Black and War Horse. Click on the Kids Week Tickets button, below, then select the show you are interested in, select the adult seat, then one (denoted "child") for your child (or the box may be labelled "free child"). You can purchase tickets now. This Month:Special Offer: Thriller Live West End tickets - 1/3 off of prices in the West End!